Where were the experts before the global crisis' when we really needed them? Why do things have to get out of control before 'pundits' come out of the woodwork. 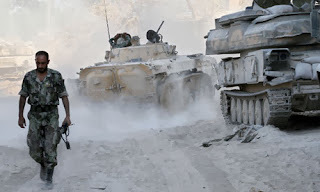 ISIS became the newest threat to Humanity as Israel and Hamas continue on again off again cease fires. The tensions over Russia and Ukraine becoming a flash point for global war, the Syrian War continues, the global economy teeters on the brink of collapse, Fukushima continues to spill radio active material into the Pacific Ocean's food supply, riots, violent protests, terrorism and carnage spreads through almost every continent, U.S. military prepares for domestic civil unrest and Israel is surrounded by enemies and growing dissent by the international community while America focuses on Jerry Springer style politics and the hope of a different politician solving the country's problems in 2018. As Humanity spins out of control, The Endrun Project offers solutions for readers looking for answers amid threatening current events. We put current events in Biblical perspective for people to see whats coming and why from Prophetic viewpoint. Endrun Project articles contain a universal message for all of Humanity respectfully read by world leaders, governments, militaries, journalists, and people of every culture, political and religious perspective and belief world wide who are trying to connect the dots to better understand what is happening amid the horrific chaos and confusion in their world, and realizing God is not only real, but not political nor religious. 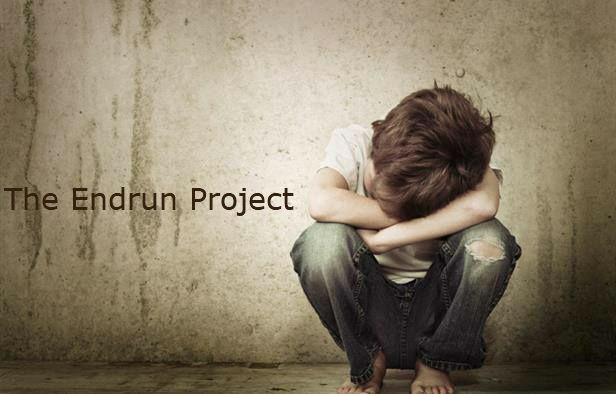 The Endrun Project is a conservative non-denominational, non-partisan global outreach ministry not associated with any political, cultural, or religious organization or ideology. That, the future of U.S national security and sustainability will depend on peaceful and secure global security and sustainability resulting from education, the practice of sound principles, wisdom and mutual cooperation of peoples and nations, despite cultural, racial, religious, government(s) ineptitude, corruption or geo-political differences. Unlike most information sources ...the seriousness of the times and current events mandates, that speculation, opinion or perspective absent of documentation and links to verifiable resources is a disservice to the safety and welfare of Humanity's innocents. To identify strategic current events which are specific to ancient geo-cultural Prophecies as they relate to global security and future and how they impact each of us as individuals. To redirect focus and priorities to enable people to successfully navigate and endure through ever increasing treachery through vigilance and discernment by recognizing and understanding deceptive disinformation intended to purposefully distract and confuse current conventional wisdom. To promote solutions for peaceful and constructive coexistence amongst all Americans as a united nation despite religious, political, or cultural differences through understanding. Endrun Project research and analysis utilizes strategic personal and diplomatic relationships of cultural and political diversity from various past and present projects. News feeds from international news and government agencies and perspectives from Russia, Europe, China, the Middle East and other regions of the world as well as The United States, contribute insights and perspective which provide a more balanced, less biased understanding of current global events impacting the international community and future of America. We're all in this together. 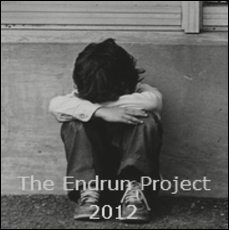 The Endrun Project is simply working toward helping to make things better for all of us. Private contributions are our only source for making this possible. Since the beginning, tens of thousands of people world wide have read, reread and shared Endrun Project insights and updates. If you appreciate Endrun Project articles as many do, you can help make a difference by donating to the project. Funds are used for research, needed resources and tools which enable researchers to provide accurate information and perspective to Endrun Project readers. To make a secure donation of any amount to support Endrun Project research and continued insights and updates ...click the 'Donate' Image above and follow instructions. Thank you again for your contribution and support.